FROM THE ARCHIVE: All men are handsome, all women desirable under the spell of that aroused duenna called tango. The dance is a display of confidence, control, and bravura that spices the desire, intrigue, and tension between the sexes. But within the rise, turn, and fall of seductive cadence and throbbing beat lurk inconstancy, faithlessness, and betrayal. 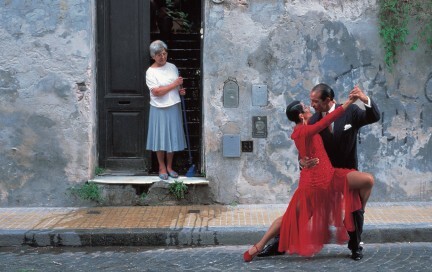 Every dance is an affair, never a marriage—and the final note its inevitable death knell.